Winter is officially tuned here making me so irritable and moody. Im winter allergic and thrilled at the same time about it as I can simply blame the winter seasons for my mood swings and outbrust. One of the worst things about winter is how it gets cold and dark really early making driving risky at road. However, this is the best time to stay indoors where its warmed cosy. You can relax with a great book or entertaining film, knowing that the frosty weather is safely on the opposite side of the window!! Its also the perfect moments to stay inside on a chilly evening calling out for hot chocolate, warm apple juice or copious mugs of tea or steaming bowls of healthy soups. 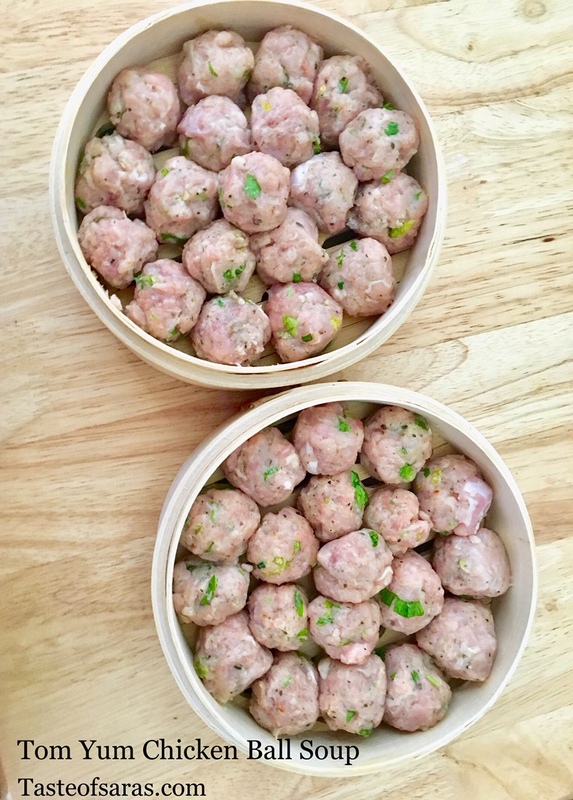 Being from the Asian background I'm always looking upon preparing dishes with a touch of The South East Asian Region to satisfy my cravings when feel homesick. I have being wanting to prepare Tom Yum Soup for a quite sometimes but somehow end up preparing something else instead. 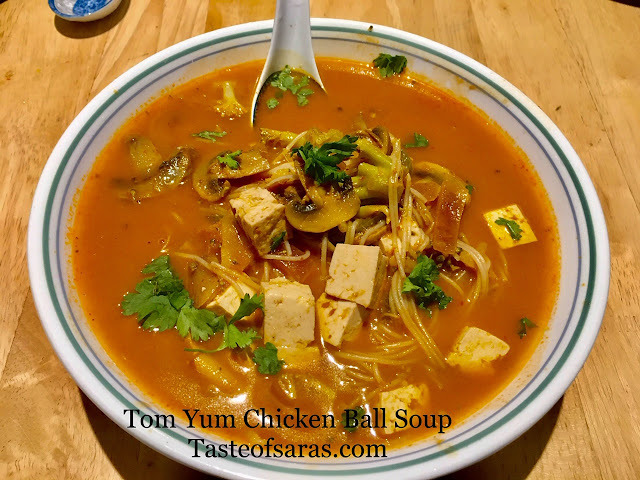 Anyways Thai Tom Yum Soup is one of the easiest and quickest soups to prepare with fully stocked up pantry necessary ingredients. My pantry is always fully stocked up with Asian ingredients.. The full flavored broth is infused with chicken balls , tofu, beans sprouts, straw or button mushrooms and fresh cilantro or coriander leaves to complete this delicious and warm bowl of soup. 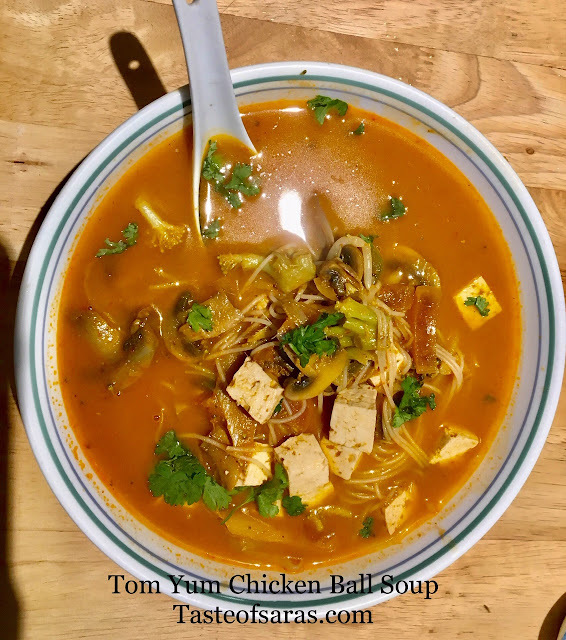 Instead of going out to a restaurant, you can prepare the most popular Thai soup at home in no time. This bow of Thai soup will knock-your-soack-off!. Its light, easy and healthy. 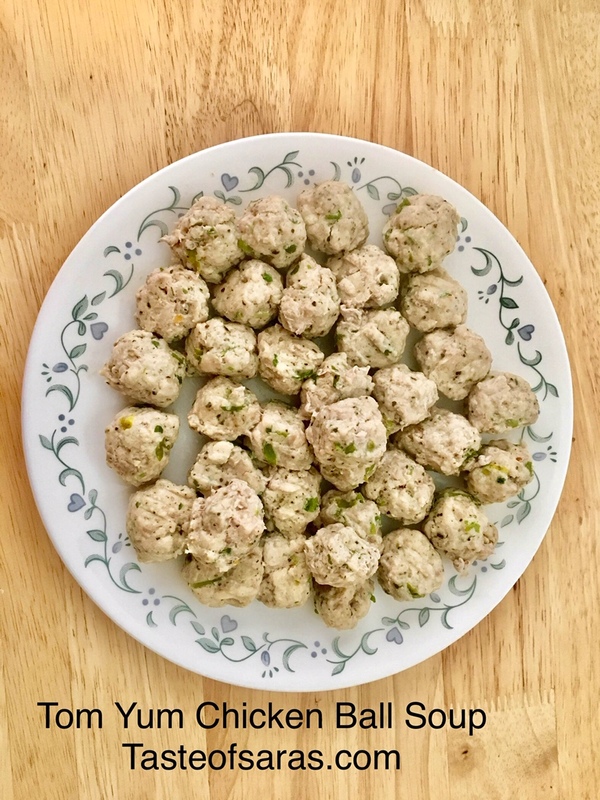 It's flavorful and if you want, you can make it spicy enough to clear out your sinuses and with my home made chicken balls its definitely a win-win situation. 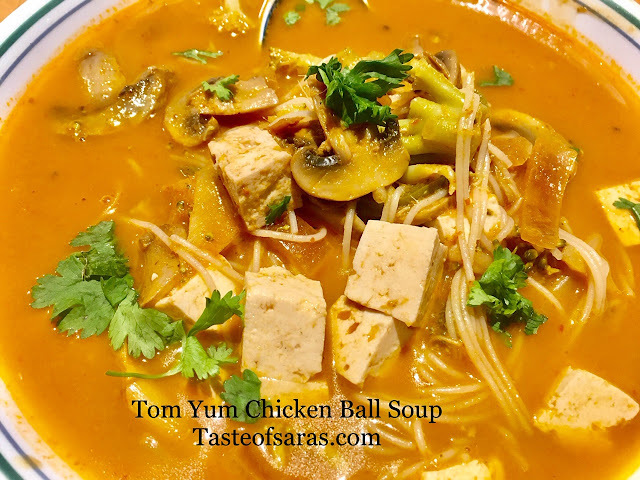 Let's sit back and enjoy this soul comforting bowls of Tom Yum Chicken Ball soup rite from my kitchen to chase away the winter season!! In a large bowl add all the ingredients and mix well. add the corn flour to blent the mixture well and let it stand for few minutes. Roll out 1 tbsp of the mixture to ball shapes. Arrange the chicken balls in a bamboo steam and steam til it fully cooked to perfection. Add some peanut oil to skillet and sauté all the ingredients for about 5 minutes or til the raw smell are removed. Allow the mixture to cool and grind to to a coarse paste. 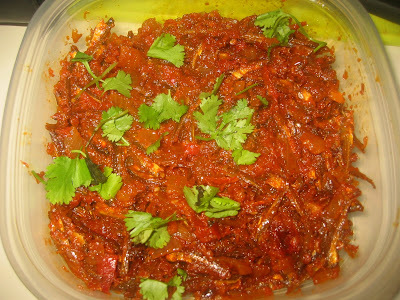 In a large skilled add some oil and sautéed the sliced red chillies and shallots til fragrant. Add the sliced ginger, lemongrass and lime leave. Season with salt and then add the sliced tofu and mushrooms. Saute for 5 minutes and add the Tom Yum paste. Cook for another 5 minutes and add the broth and bring to boil. Finally add the chicken balls and beans sprouts. Adjust the level of salt .Before turning off the flame stern the lemon juice and garish with chopped coriander leaves.